1. 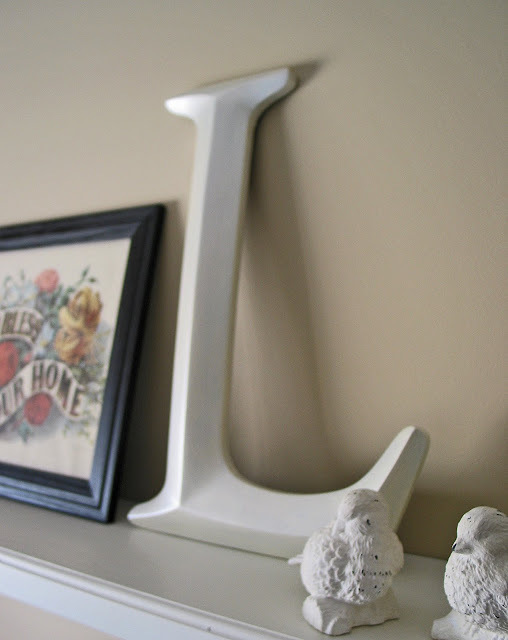 An initial for my office shelf, $3.50. 2. 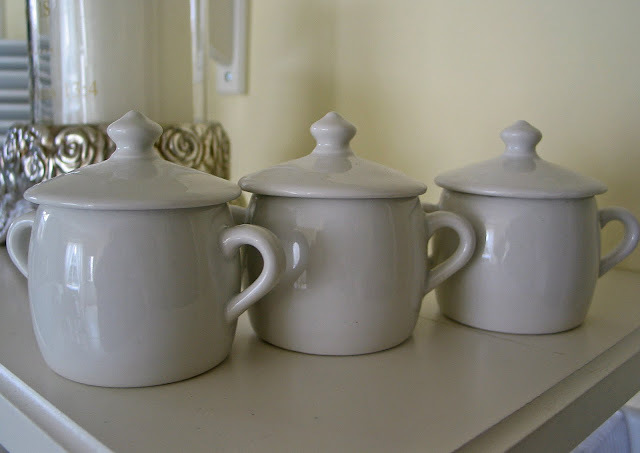 A trio of sugar bowls for the cafe' tables, $ .50 each. 3. 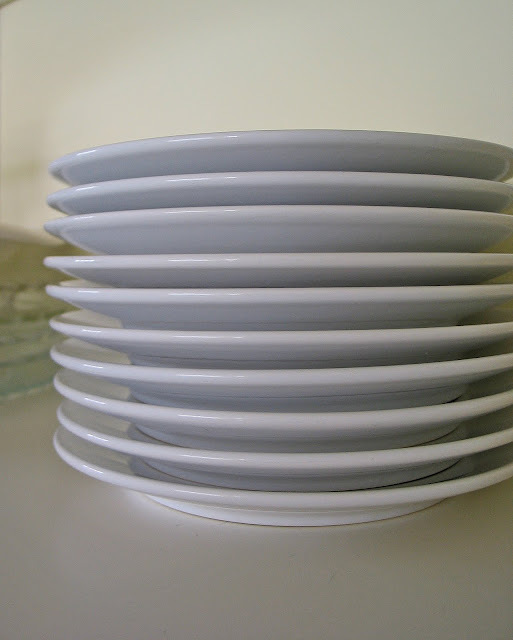 A set of 10 Ikea salad plates, $3.00/all. 4. 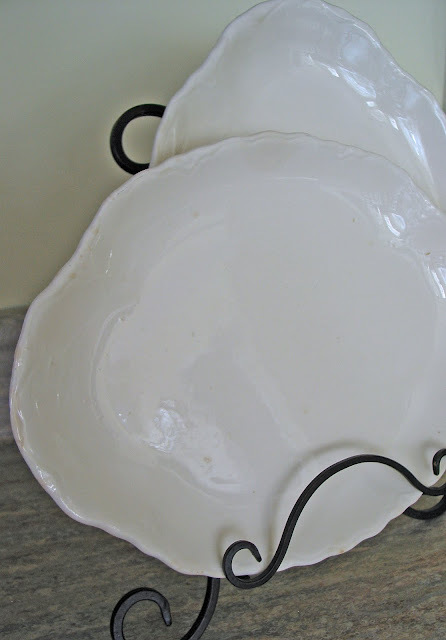 A pair of vintage oval ironstone platters, $1.00 each. 5. A large wooden spoon/fork for the cafe' wall, $1.00 each. 6. 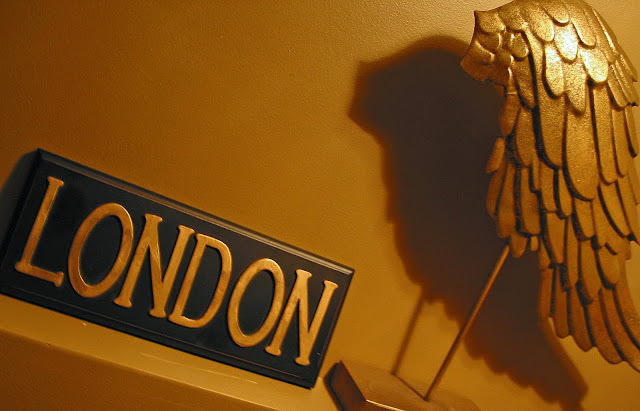 A "LONDON" sign, $2.00. 7. A soup tureen missing its lid, $2.50. 8. 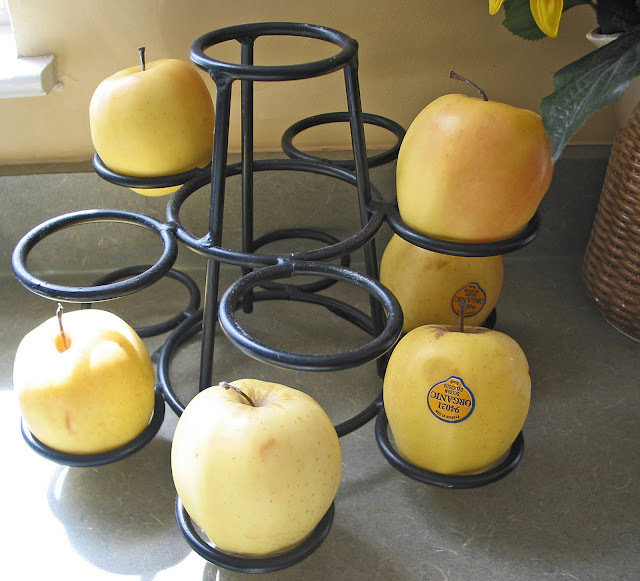 An apple holder, $2.50. 9. 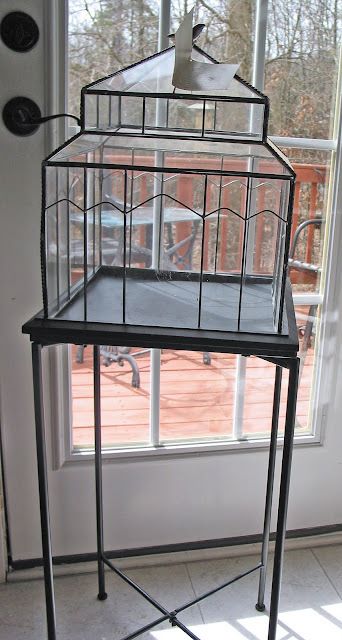 (New w/Tags) glass terrarium w/bird finial on stand, $10. 10. 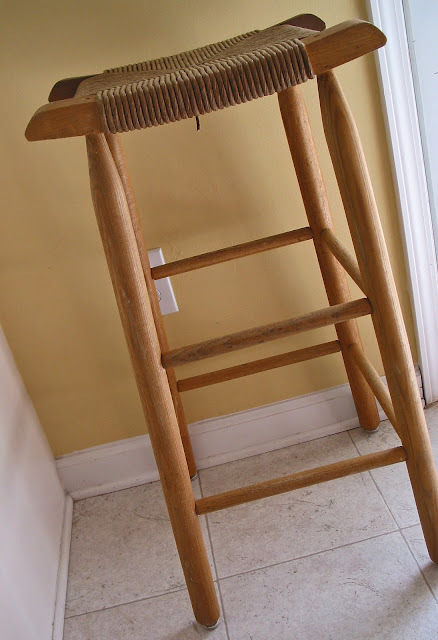 Barstool with rushed seat, $5. 11. 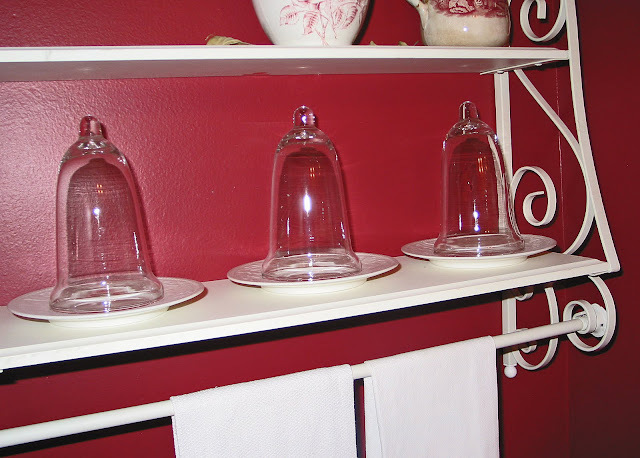 3 small glass domes (cloches), $1.00 each. Stop by your local Goodwill(s), help the recycling cause and show some love! Oh how pretty! You always find the greatest deals. I never seem to have much luck at GW. I get a few things. But not nearly as much as others. Maybe I just don't have the right eye for it. Take care my friend! WOW! I never do that well at GW. I try...and I search and scour but I can never find good stuff. You lucked out!! I did luck out- these items took me the whole month of February to find, so don't be too jealous! LOL! 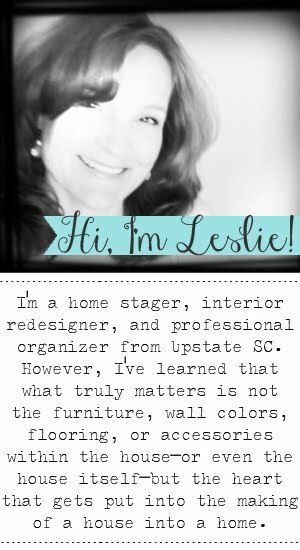 Hi, Leslie, first, welcome to blogging. It's nice to meet you. You will find there are a bunch of us thrifty girls out there. 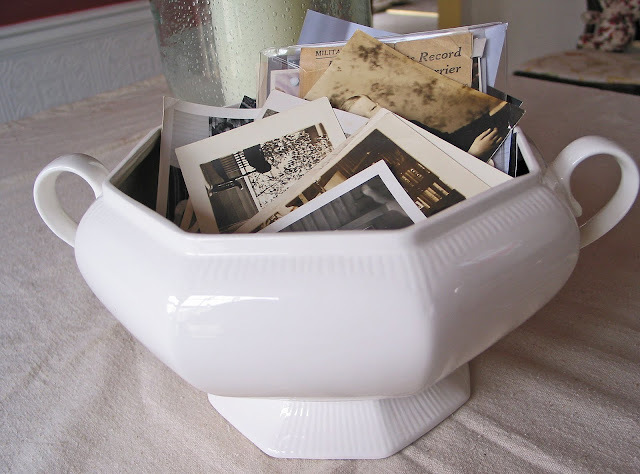 you scored on some great treasures, I love those ironstone platters the most, since I collect white pieces too. Hope you'll join the party next week, this will be an every Monday thing & it would be great for you to link to my party next time so that your readers can get in on more fun too. Thank you for the welcome, and invitation to join each Monday! Blogging is so much fun! I got inspired by YOU! And I love your ironstone collection, as well. It is amazing to see what each person gets blessed with while they are out and about. Ok, your Goodwill ROCKS! Seriously, these are fabulous finds. I am so jealous! My Goodwill is awful. I can't even pick a favorite out of all of those goodies! 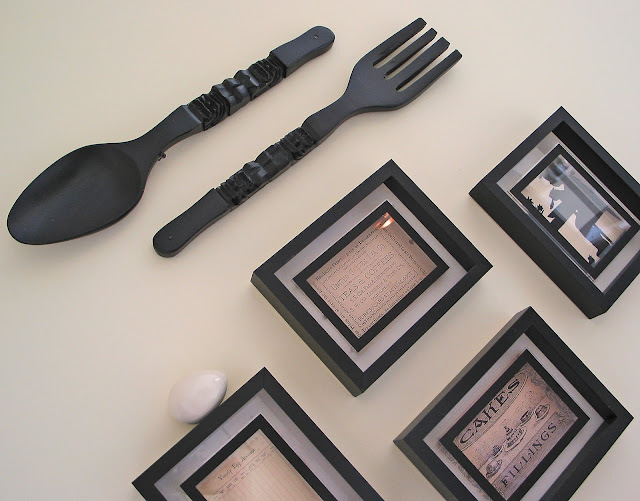 Mybe the fork and spoon? the teranium? It's all awesome! I don't know what it is, but somehow, I find just what I need and THEN I even find some things that are just fun! I go usually at the 1st-ish of the month, and around the 15th of the month (Target donates these dates). Also, Mondays and Tuesdays are good days, as it has given the GW staff time to sort, price and set out the leftover yard and estate sale stuff that got donated over the weekend. Try going to your Goodwills on those dates and see if you have better luck! My GW is expensive, but yours has some awesome deals. I love everything you found! Wow - I think I would have bought everything on your list! Amazing finds! I have quite a collection of those plates and I didn't know they were called "ironstone" - now I do! Thanks! We do not have finds like this at our Goodwill, sadly! You got some GREAT stuff!! LOVE that terrarium!! Beautiful! And the sugar bowls and tureen! And those cloches!!! Good grief! You did great! Hi Laura, Jessica, Lou Cinda, Merrie and Marla. I have a lot of fun digging through other people's "junk", don't you? Wow, those are some great finds! I collect ironstone, too, so I'm loving those platters! 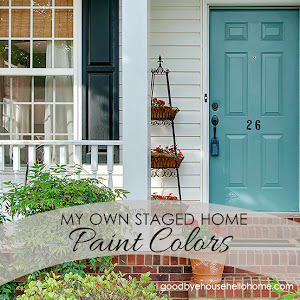 I'm going to try to post to Rhoda's party next Monday to share some of my recent finds! 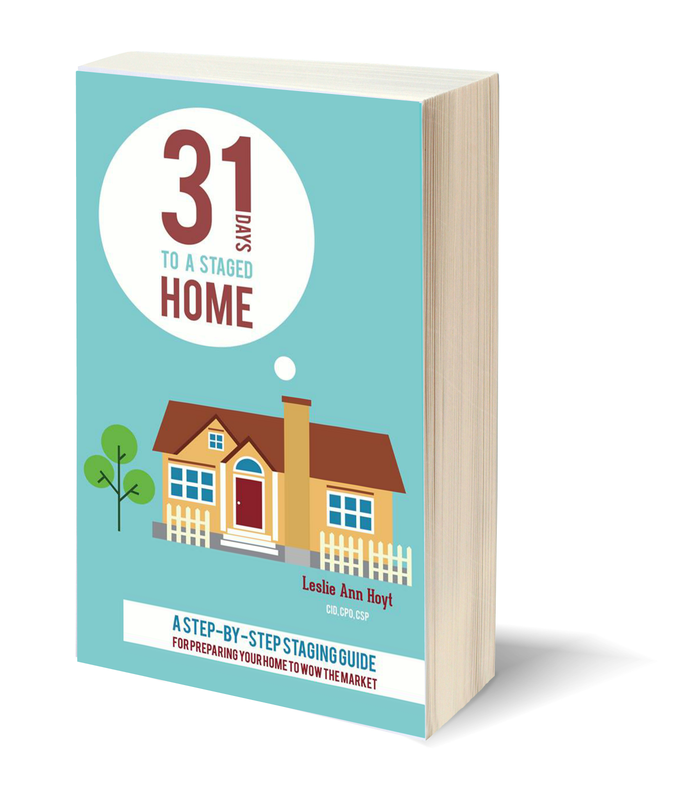 I hope to see you next week at Rhoda's home, I'd love to see what other girls like to collect and what they do with it! Thank you for coming by my home! I am having a wonderful day! The East North Street Goodwill is the best. You will probably see my sister and I there quite often. My sister--just about daily. She has found some great stuff there. There are probably GW tags still stuck to the back of many of her home furnishings. We say we got it at "GW Design Warehouse". It sounds better than "Goodwill".